Fedena 3.5.3 is live for our users around the world. This release comes with a new mode to calculate Loss of Pay in HR, Timetable PDF changes, a common sorting setting for all examination pages and a lot of small but useful changes. We are dedicating this release to a very famous Mathematics teacher from not very long ago. 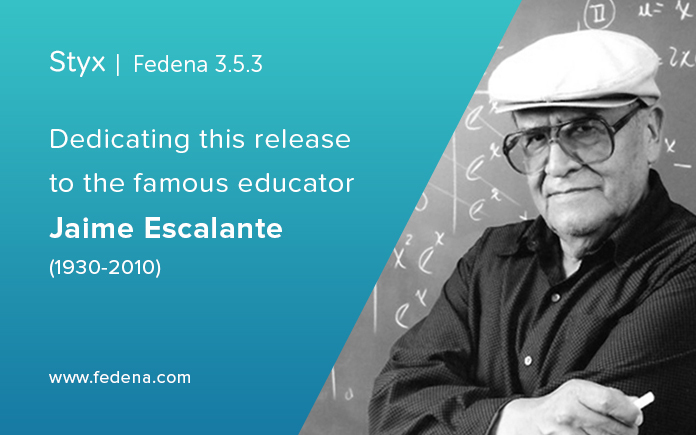 Jaime Escalante was born in La Paz, Bolivia in 1931 and started teaching there before moving to the United States in the1970s. He started teaching at the James A Garfield High School, Los Angeles which had many Hispanic students of working class parents who were below their grade levels in terms of academic skills. He was determined to bring these children up in Mathematics and offered to teach AP Calculus. Changing the status quo was not easy and he faced a lot of criticism from the school authorities who complained he was coming early and staying late without permission. Not deterred by this, he continued teaching them advanced math and even proposed dropping the number of basic math classes. Eventually, he took his first calculus class and with the help of fellow teacher taught AP calculus to 5 students, two of whom passed. By 1981 this number increased to 14 out of a class of 15. 1. Generate receipts for pay all fees. 2. Partial payments can be done via online payments. 3. Pay all fees can now come with a default number and this can be changed when a partial payment is being done. 4. The Timetable format has changed to accommodate the entire batch on one single page. 5. Library data can now be exported using a CSV with additional data. 6. Transport module has been updated with reports specific to batches, courses, and routes. 7. The UI for student reports center has been updated for ease of use and access. There have also been a number of issues fixed in this release, you can find them in the Fedena 3.5.3 Release notes. 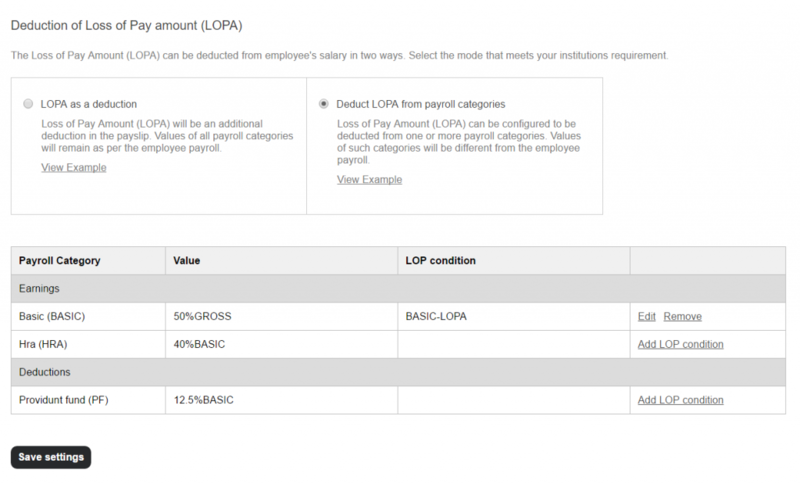 While in Fedena you can find the option under payroll calculations, here’s a screenshot of the update.